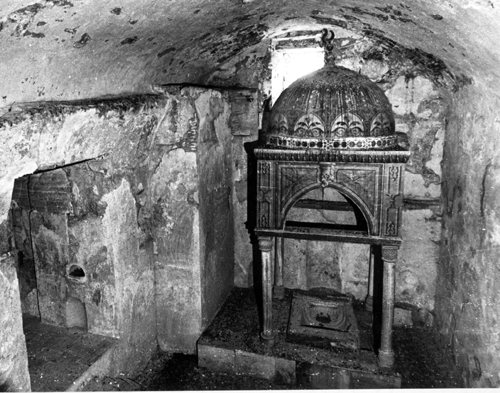 In his recent blog Leen Ritmeyer, THE expert on the history/archaeology of the Temple Mount, has shared some very very unique photos including an underground tunnel that leads from cistern #10 to a Byzantine building. Note Cistern #10 in the lower portion of the diagram. 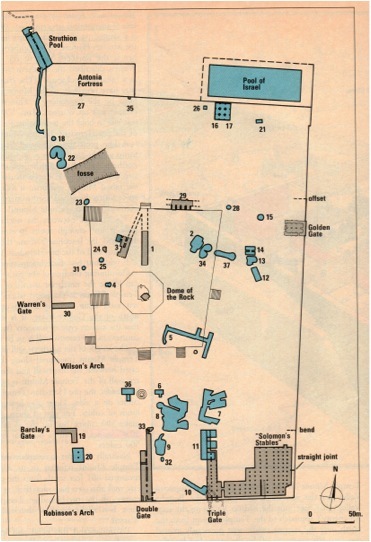 Also included is a rarely seen photo of the “Cradle of Jesus” that is/was located at the southeastern corner of the Temple Mound (evidently in the so-called “Solomon’s Stables”). For the complete article Click Here (a 5 minute read with 5 wonderful photos and an informative diagram). PS — The Temple Mount may not have been devoid of structures as previously thought!! See his article. This entry was posted in Archaeology, Jerusalem, Places in Israel, Places in Jerusalem, Temple and tagged Byzantine Period, Haram esh–Sharif, Leen Ritmeyer, temple mount. Bookmark the permalink.